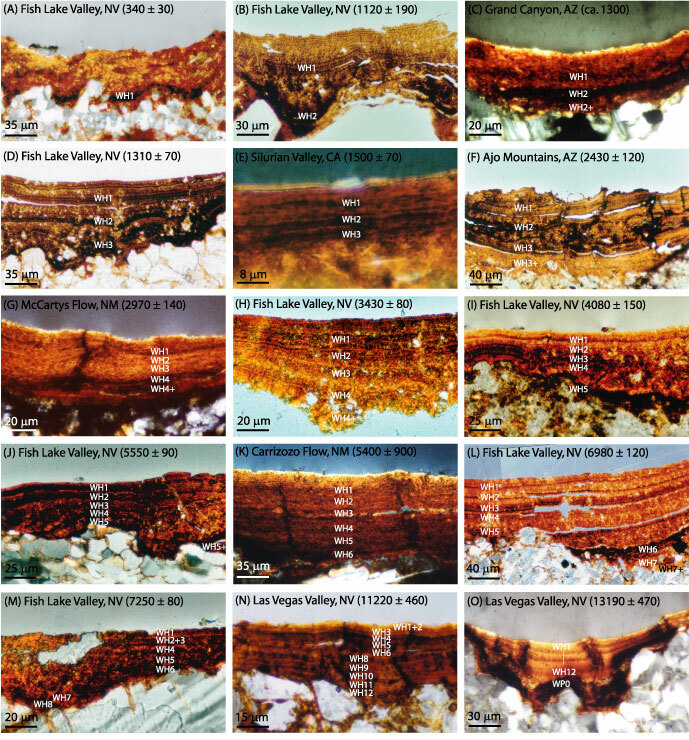 Figure Caption Microstratigraphies in rock varnish from radiometrically dated geomorphic features in the western US drylands. Age constraints are reported in cal yr BP (± 1 sigma) and letters in the varnish images correspond to those in the age calibration figure. Note that black layer WH7 in (N) is absent due probably to postdepositional modifications such as wind abrasion or peeling. Please see Liu (2003) and Liu and Broecker (2006) for more discussion on this topic. WH = Wet event in Holocene, WP = Wet event in Pleistocene.